To make your products profitable, you have to take into consideration many factors from sourcing to selling. Some of these factors include healthy competition, strong sales force, large market share and stable market demand. We at Leelinesourcing want to share a product analysis report of the broom and dustpan set. 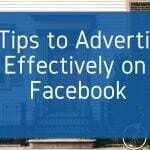 This will help you make better and informed decisions about selling this product. According to the data provided by Google trend (trends.google.com) in the past five years, the search popularity of broom and dustpan set in American has fluctuated minimally. However, the overall trend has shown increase year after year. In particular, the increase accelerated from June 2017. Overall, there has been a slight uptick in the search popularity of broom and dustpan set across the globe. In June 2017, search popularity hit a peak of 100. Besides Google, we also got search data from Amazon (www.amazon.com). 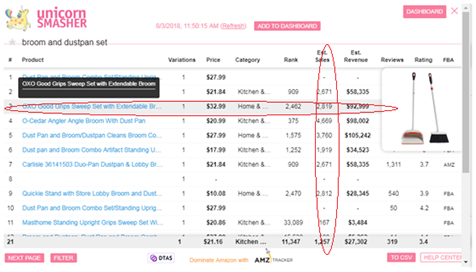 When we searched for the Broom and dustpan set using the Keywords tool, we found that the average number of searches on Amazon in the past one year was about 88,000 per month. The highest searches recorded were108, 000 in July, August 2017 and January 2018 while the minimum number of searches on Amazon was 48,000 a month. Therefore, from the above search popularity and search volume results, we can conclude that the broom and dustpan set are necessary products for people to use in daily life. They have a relatively stable market demand. 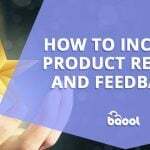 After having a clear understanding of the market demand for the product, we need to find a suitable sales market for the product. This will enable us to sell the product smoothly and make a profit. Therefore, an analysis of the market distribution is also very important. As seen from the results of search popularity by region displayed by Google trend, the broom and dustpan set have the hottest search in the United States. In the US, the popularity of broom and dustpan set has been above 75 for most of 2017. Clearly, the potential market for broom and dustpan set in the United States looks optimistic. New York is seeing the biggest demand so far. To sum it up, we can conclude that the United States is the main market for broom and dustpan set. Having a healthy competitive environment is very important in selling any product. After understanding the market distribution of products, we also need to investigate the market competition environment of these products. We used Google Adwords (adwords.google.com) and keyword tool (keywordtool.io) to search for Broom and dustpan set. Google search results showed an average search of 880 per month in the United States which is relatively small. 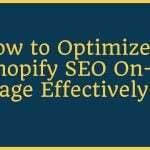 This means fewer customers buy broom and dustpan set through independent websites in Google. As a result, the broom and dustpan set is highly competitive in the U.S. market. 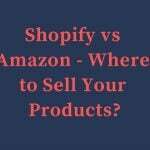 We also know that websites that sell broom and dustpan set independently do not have an advantage over Amazon. Product cost affects product profits. It is important to have a clear understanding of the product costs before starting to sell the product. We searched online for the broom and dustpan set in 1688, as shown in the picture. The purchase prices of most products were not high with most ranging from ＄1-8. With the light weight and simple package, the expenses of packing and transportation will also not be too high. Therefore we can conclude that the procurement cost of broom and dustpan set is low. After getting a rough idea of the cost of the product, we can now estimate the profit margin of the product. 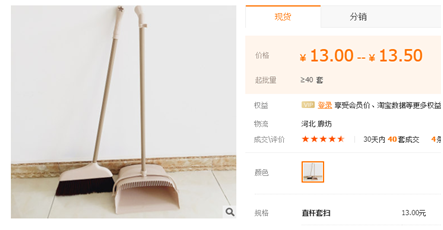 To investigate the profit range of the broom and dustpan set, we randomly selected a set of broom and dustpan with a purchase price of ＄2.16 in Alibaba and a sale price of ＄32.99 on Amazon. We then calculated profit by simply subtracting＄32.99-＄2.16=＄30.83. We can then use the Unicorn smasherg tool to see the average monthly sales of this product which we found to be about 2819, so basically, this gives us monthly returns of 30.83*2819=86, 909.77 dollars. We can see that the profit of the broom and dustpan set is quite considerable even after deducting transportation and packaging costs. In addition, we also see the sales of broom and dustpan set in other shops doing quite well. This proves that the broom and dustpan set has large market demand. Stable sales price mean a stable market environment and profits. 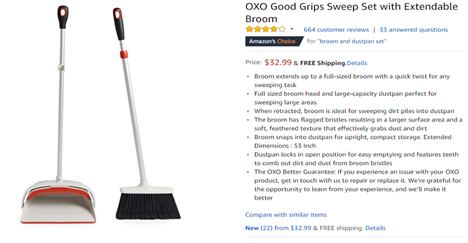 Taking the above product as an example, we can find out whether the broom and dustpan set have a stable marketing environment. The figure above shows a one-year historical sales price of this product from on the keeping tool. The results revealed that the price of the broomstick suit has been stable over the past year averaging $32.99. In conclusion, the market environment of the broomstick is relatively stable. As long as management is reasonable, you can easily obtain relatively stable and considerable profits. (1) The purchase cost of broom and dustpan set is low and the profits are big. (2) The United States is its main sales market. (3) There are great market demand and stable market environment, but the market competition is fierce. In such a competitive environment, if you want to sell this product and make a high profit, the most important thing you need to do is to reduce the purchase costs. 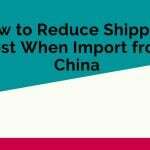 So how to reduce the purchasing cost? You need to find a reliable supplier to supply you with quality products at low prices. 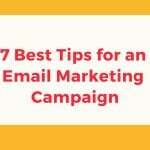 Those products will not only retain your old customers but also attract new ones to buy. Therefore, a reliable supplier plays an important role in reducing purchasing cost and increasing product sales. Are you worried where to get the best supplier? Worry no more since you’re in the right place. 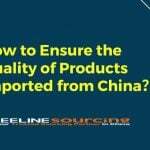 Leelinesourcing will help you access some of the best suppliers and get your products at the most affordable prices. We will try our best to meet your requirements and provide you with a satisfactory service. 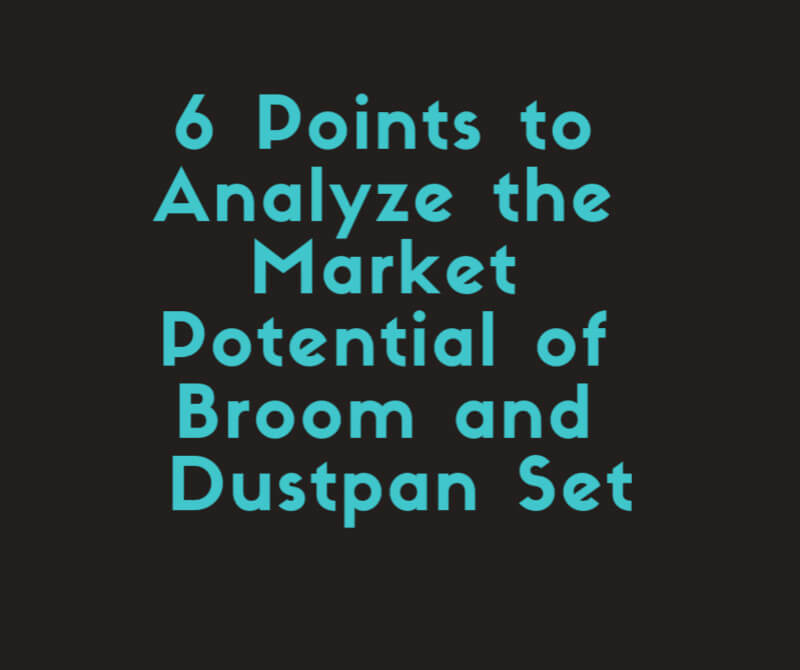 That’s leelinesourcing’s product marketing analysis report on the broom and dustpan set. Hopefully, it’ll help you out. Hi Sharline , my name is Charles Ford and I live in the US. Atlanta, Georgia area. I started reselling on ebay back in September. Skip Mcgrath has helped me with much information along the way. I am not having much success. It seems like there is a big learning curve out there. So far I’m trying to narrow down the mistakes I’ve been making. I need products to sell that are lightweight and profitable and also affordable . Can you help with that ? 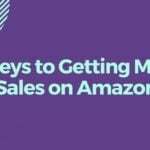 I plan to start with Amazon in March or April of 2019. 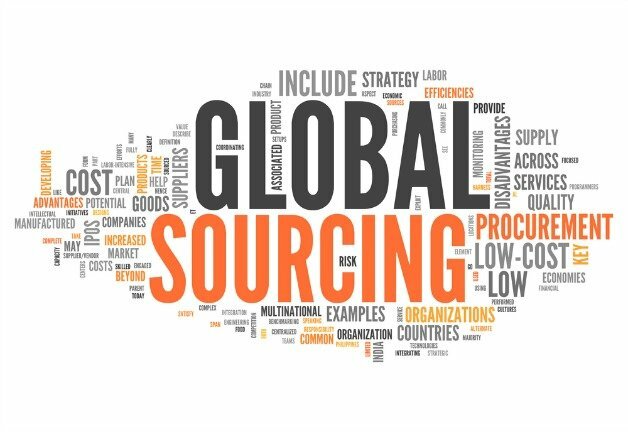 We leeline sourcing has 10 years of experience in sourcing business and we are especially supplying service for Amazon sellers from worldwide,we are familiar with all the amazon shipment,So you find the right place here. Below is the detail service and process of our company,Hope it can help you more clear about us. First you email us the detail information about the product what you need,Such as photo,Size and target price what you need,Then we will send you the supplier list with competitive price and high quality products for selection,after you decide the price and supplier what you need,Then you arrange the payment and we will arrange the order to send to your amazon warehouse. See below link for our detail price and payment terms. 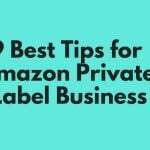 3,We also offer full set of Amazon prep services(packing,Labeling,Inspection,shipping etc),See below detail amazon prep services fee for your information. So pls email me your above detail information what we need so that we can start the first process asap,Thanks in advance.